Does French pronunciation stump you? When does a vowel + N become a nasal sound? And what is the difference between the nasals AN, IN, ON? Is there a difference between o, au, aux, eau, and eaux? Can you pronounce without thinking too hard ‘Grenouille’ or ‘accueillir’? What about liaisons and silent letters? A top quality resource – there are so many out there that are a little bit second rate, but this is well made. The French Today audiobooks are also very nicely synced with their own app too. I ordered the audiobook online, went to the French Today app on my ipad, and the audiobook was there. Good play controls on the app. Content of this audiobook is very good indeed – there are all sorts of helpful tips on how to pronounce correctly. 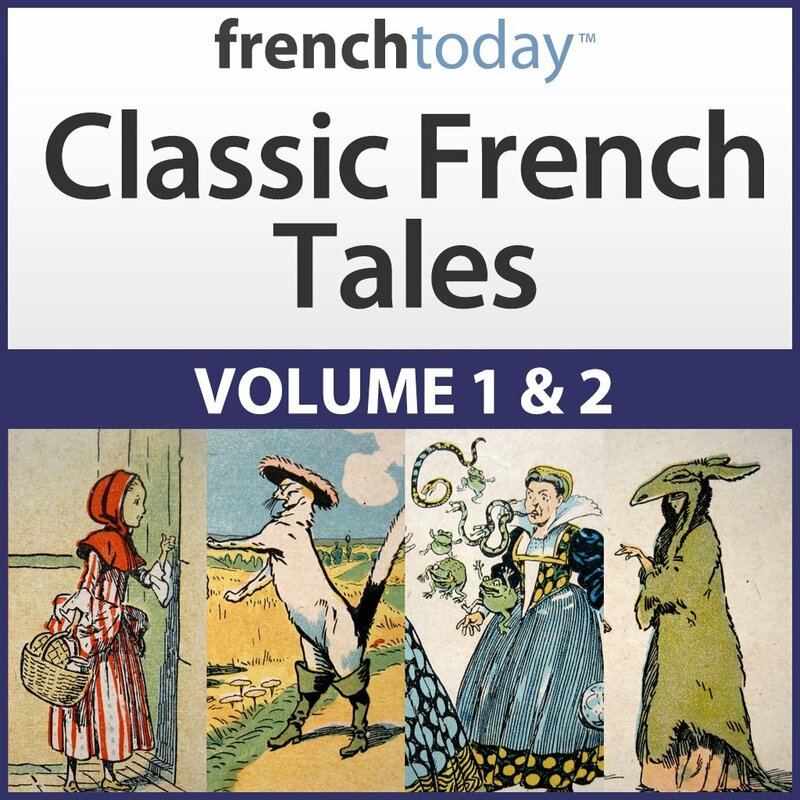 One of my fears is that I could end up sounding like the policeman in the sitcom ‘Allo Allo’ when I speak French – this audiobook should help me to avoid that! I bought this after getting the À Moi Paris audiobooks. It explains how to form the different French vowel and consonant sounds really well and has made me more aware of how I’m pronouncing French words and how to improve my pronunciation, so I would definitely recommend it. This third time I bought Camilla’s audiobook. I am happy it is really useful. I recommend every French learning. Very helpful! I wish I had this when I first started my French journey! Very happy to have a few things cleared up and now I use it as a reference when I confuse myself with vowel sounds! This is an easy to follow course that is explained well with clearly written course material. The audio clips are clear and precise. She is incredible and I have purchased with confidence a number of her audio books. As an intermediate level student i appreciate the English translation that is included. I love her style and pace of speaking french as well as the varied topics. As a retired Directrice I am impressed at the high standard and format of her audio books and her weekly emails which I look forward to reading and learning in anticipation. She is an outstanding teacher and Olivier is pretty good too, responding to my request so promptly. They make a good team! Please keep on doing what you are doing for your followers, so brilliantly. In my opinion, it is the best way to learn French especially in places where French is rarely spoken like my country Ghana. The audio is the best since I started learning French. I can say my pronunciation has improved tremendously. The only problem for some of us is the price of the materials especially in a country where our currency is very low as compared to the dollar or euro. Despite that, the two materials that I have bought are superb. Looking forward for more discount opportunities for the bundles. This book was well worth the purchase. I like the in depth explanations of how to shape your mouth and tongue in order to make the correct sound. This was and still is very helpful for me! I also really like that this book has drills so that you can get some practice in. I took French in college some fifty years ago, didn’t use it, lost it. In my early eighties I got the urge to revisit French. I purchased several different programs and almost gave up. The stories and the Secrets of French Pronunciation made it so much easier. But the whole approach is awesome. I studied French in high school and college in the 1960’s and 70’s and taught first and second year high school French for one year, but ended up getting married and changing direction to be a stay-at-home mom and eventually a Registered Nurse. Needless to say, my French was rusty at best and only updated by occasionally reading my French Bible. Recently my daughter-in-law convinced me to try teaching my grand daughter, who is home schooled, her high school Foreign language — French of course!! Oh my!! When I found your blog and especially the French Pronunciation MP-3 I was delighted. McKenna is using Rosetta Stone as her base instruction — not my idea, but I am using your materials to help me give her some comprehension of all that is being thrown at her. Your blog and internet lessons have been wonderful. I am having her work with the pronunciation program and am amazed at how quickly her accent and inflection have moved from American to if not exactly French, at least quite good for someone with her experience. I wish I could afford to purchase more of your materials, but our retirement income does not allow it. I give your materials and especially the Secrets of French Pronunciation 5 stars — or maybe 6 or 7!! Thank you so much! I loved it!!!! I have already taken french courses before, and this is the first time that i truly understand all the pronunciation rules. I really recommend it!! Also where i live there aren’t native french teachers, so with the audio books i think it’s the best way to learn the language. This is the best guide to speaking better French, it is detailed and full of things you think you didn’t need to know!!! I would recommend this to anyone learning French. I use a lot of different materials in my studies of French, but the audio lessons from French Today has really proved to be invaluable. Highly recommended! Pronunciation “C’est ne bien pas, pour moi”. But with Camille’s help I am improving. This audio includes topics that I never dreamed of before; didn’t have a clue about the mechanics of vocal sound in French language. The explanations make sense once you’ve been informed about them and after completing the exercises, I can hear a difference. I recently purchased this product, as I am trying to learn french, I have tried several other competitor products but have struggled with them. French today way of teaching is making life and learning french a lot easier. I also purchased the Secrets of French Conversation and have found it to be extremely helpful, especially sense it correlates exactly to what we’re learning at the Alliance Francaise in Year 2. I am a career interpreter and transliterator of multiple languages, so it is not easy to impress me, but I am impressed! Thank you for making such great learning tools! Camille’s explanations are very thorough and clear. I love all the material I have from her. Being a multi-language teacher myself, I find her approach very relatable to what I consider the teaching of a language should be – more based on real usage than what the book says. Keep up with the good work, Camille! I purchased French Today and it is invaluable in my study of French. I am also using Rosetta Stone, which is pretty good. But, Rosetta Stone does not have text and audio lessons that explain the grammatical rules. 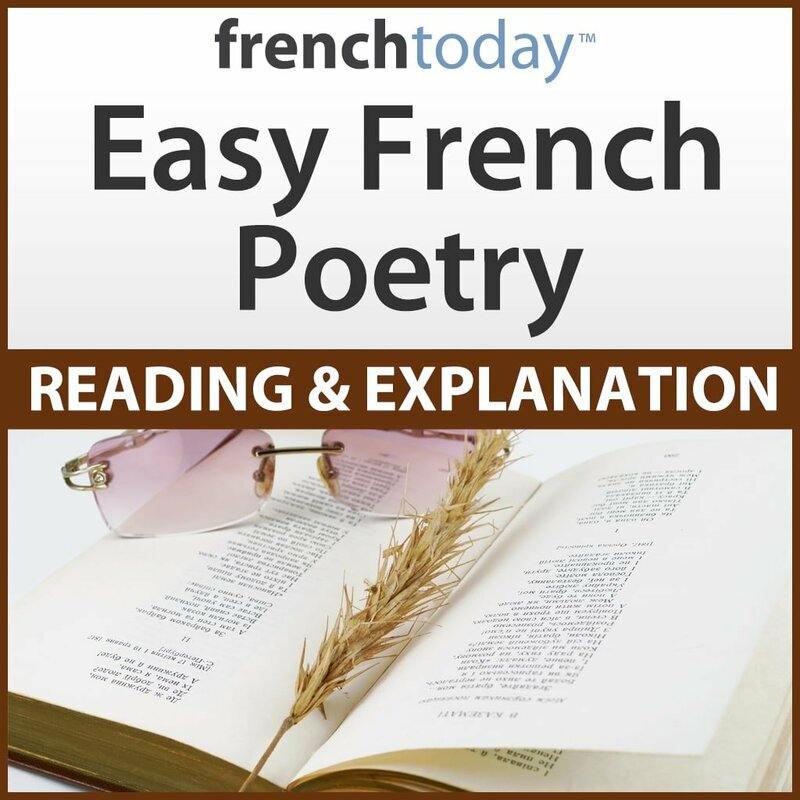 French Today explains the rules, and provides multiple verbal exercises which reinforce the rules. This enables you to understand why letter combinations make their sounds, which is critical for adult learners. French Today also includes conversation scenarios which are used to improve your pronunciation, each followed with explanatory text and audio to reinforce what you are learning. I also purchased the verb conjugation audio and text files, which are superb. When I first started learning French, I felt overwhelmed because it is a language that is spoken mostly with vowels. Although the vowel sounds are very similar to English, the combinations are unfamiliar to an English speaker. As Camille says, consonants in French are used to connect the vowels, as it is a vowel language. This difference is so great that I despaired early on at being able to “get it”. But, after 9 weeks of repetition, I now see that I really can (and do) speak French properly. If you begin studying French and feel overwhelmed, rest assured that if you are persistent, that feeling goes away. Everyone who speaks French is not more intelligent than you. If others have learned to speak French, you can learn it, too. This is a French Phonics class. It will guide you through the French alphabet, plus phonemes and morphemes of the French language. It is almost impossible to speak any language with muted incorrect sounds, hence the beauty of this French pronunciation course. With this product, you will learn the correct pronunciation of French words, and how to pronounce French words where the sound does not exist in English. This course also covers silent letters and the two forms of the silent letter H. This is a full course such that no other product is needed to accomplish your goals of correct French pronunciation. 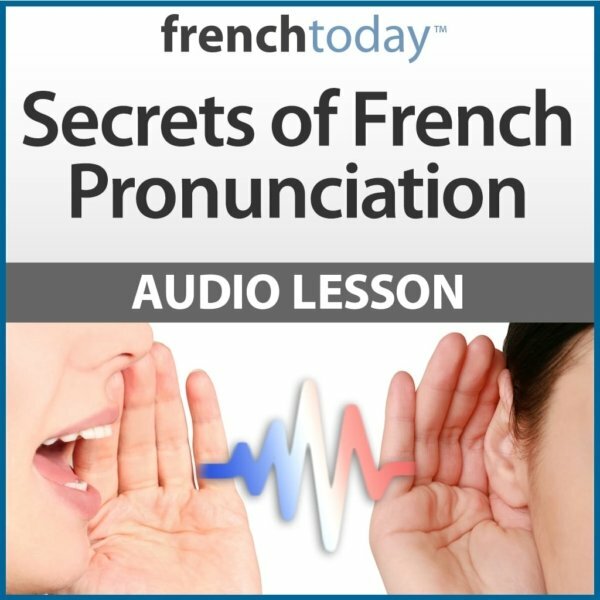 I have found this Audio Lesson to be invaluable, as it’s very rare to find such detailed attention paid to French pronunciation alone. Very helpful lesson. This audio is very helpful to train your ear and your pronunciation. Great drills. The verbal descriptions along with the written text are excellent. It takes practice, but it’s so easy to do! thanks!! Great pronunciation guide, good excercises, informative explanations. I love Secrets of French Pronunciation. It is very clearly presented, in writing and the audio, and the distinctions are easy to understand. After all the drills, also they may also be possible to master! The lessons have made a real difference to my pronunciation already. I used to feel that there are way too many nuances for me to hold in my mind, and use effectively, but no longer. I see improvements in my confidence after going through the lessons once and I plan to repeat the them at intervals, just to make sure :). I thoroughly recommend Secrets of French Pronunciation. The content is excellent. The printed pages gave me a quick reference to go back to, but the audio examples of various sounds were great. Camille gives distinct differences for pronouncing sounds that are similar. I still listen to the audios as a refresher. It helps me maintain the exact pronounciation of sounds we do not find in speaking English. I had become quite frustrated with my inability to correctly pronounce French words when reading. Well that attitude very quickly changed as I became immersed in my studies with Camille’s adio & workbook. I have found using my MP3 player a better tool for hearing than using the computer speaker, especially when working on the nasal sounds. Keep up the great work and thank you for sharing your knowledge with me. Learning a new language is always a difficult undertaking, especially if you don’t live in a native speaking country. The pronunciation lessons and drills are extremely helpful for gaining confidence in how you say new words. After going through only a few sections of this course, my French tutor remarked that my pronunciation had markedly improved since our previous lesson; so, yes, it works if you commit yourself to it. I would definitely recommend following along in the study guide while Camille goes through the audio lesson, at least the first time you listen to it. Prior to my purchase of this product I wondered if it would be worth it. If you have this same doubt, please accept my assurance that it is. Repetition is the key! Thank you! After only one practice run with Secrets of French Pronunciation, words like accueillir, écureuil, and feuilleter no longer stump me. An extraordinary and sensitive guide on how to speak French. The author is exceptional in her ability to understand the pronunciation of French from the point of view of the non-native speaker and her challenges while initiating us into the perspective of the native speaker and the nuances that separate us. Quite an accomplishment and quite unique. In a short period of time I was able to correct mistakes that I had not been able to figure out even after a year of college level French.